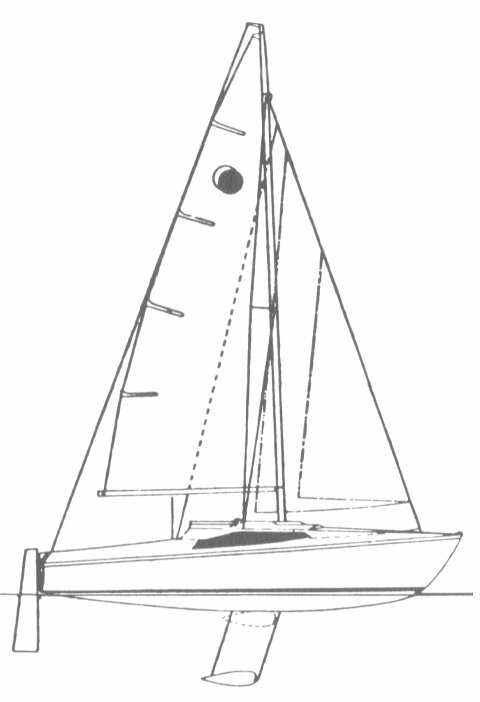 Several variations were offered including the choice of fin or lifting keel, and fractional or masthead rig. The JOG racing version with fractional rig (Mk II?) is displayed here. Thanks to Kevin Giles for corrections.